How'd You Get Into Night Vale? This topic contains 6 replies, has 7 voices, and was last updated by Jessica 3 months ago. I saw all the fanart and texts posts on tumblr and became deathly curious as to what the craziness was about. I listened to all the episodes in a matter of weeks and I’ve been hooked since. What got you into Night Vale? Same. I wanted to see what all of the fuss was about, but never had time until a down period in university. I thought I could never get into just listening to a story like that, but I was so, SO wrong. Cecil is what gets me through study breaks. I think I got into Welcome to Night Vale by seeing all sorts of screencaps of tweets from the twitter page on my Tumblr dashboard, but when a friend of mine told me about it, saying she listened to them, I think that was when I really got curious. We drove up to a hill at night, and we put on a few episodes on louspeaker in my car as we star-gazed. Yeah, it was use two, in the dark, listening to it in my Car. From that night, I subscribed and have been hooked on it ever since. College friends introduced me to it. I was inundated by Night Vale fan posts on tumblr for a while, but I didn’t give in until I had an 8 hour journey by car to a con to look forward to. I downloaded all of the episodes that were out at the time (…32, I think?) and listened to them on the road in early winter, mostly at night. It was the perfect atmosphere for it. I ended up listening to episodes often while painting at night too. A year later, I still get the first weather report stuck in my head on a regular basis. Like apparently everyone else, I saw all sorts of weird posts on Tumblr and artwork of Cecil who is interpreted visually in so many different ways. 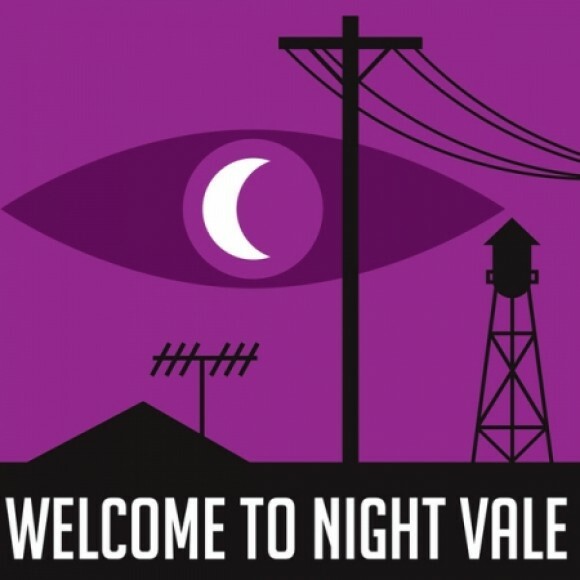 I wasn’t really sure exactly what Night Vale was, but I listened to the pilot and was hooked from there. I heard about it ages ago but never got past the first 10 episodes. My friend recently reminded me of it. I’ve been working my way to catching up. Almost there!